Beginning in the late 1920s, for more than four decades, Abraham Wolf Binder (1895вЂ“1966) was one of the most prominent figures among the stimulating intellectual and artistic Jewish music circles in the New York area. He was also one of the few native Americans of that mostly Г©migrГ© milieu of composers, musicologists, learned cantors, other synagogue musicians, and critics who-through their sometimes overlapping academic societies and journals-promoted a renaissance of interest in serious deliberations about Judaically related music. At the same time, from a practical perspective, they sought to raise the musical standards in American synagogues. Binder was reared in an orthodox environment (his father was a ba'al t'filla, or lay cantor), and he commenced his Jewish musical experiences as a boy chorister in an orthodox synagogue. 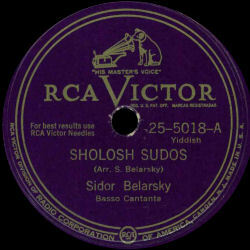 At the age of fourteen in the densely concentrated eastern European immigrant neighborhood of New York's Lower East Side, he led a choir for the locally distinguished cantor Abraham Singer, and through various succeeding positions and associations and self-tutored studies, he acquired a thorough familiarity with the full range of the eastern and west-central European cantorial and synagogue choral repertoire. It was within the American Reform movement, however, that he eventually used that knowledge and early experience to make his most important contributions and leave his most enduring mark-not only as a composer for the liturgy, but equally as a pedagogue, writer, lecturer, editor, choral director, and general savant. Perhaps more than any of his contemporaries or colleagues, he can be credited with having lifted the American Reform musical scene out of its nationwide malaise by introducing substantial amounts of authentic tradition. As a prime mover in that restoration of liturgical music tradition, he enriched and infused Reform practice with long-established melodies, biblical cantillation, and the adapted work of some of the principal European synagogue composers of the modern era. At the same time, he befriended many of the synagogue composers who immigrated to America during the 1930s and 1940s, and he encouraged them to continue expanding the aggregate repertoire with their own compositions. Born in New York City, Binder attended the Settlement Music School there, and then Columbia University from 1917 to 1920, graduating from the New York College of Music with a bachelor of music degree. During that time, in addition to various choral conducting positions, he was appointed music director of the YMHA/YWHA (Young Men's and Women's Hebrew Association, now known as the 92nd Street Y, a Jewish counterpart to the YMCA network), where, in addition to teaching music, he organized a choral society and an orchestra. He also became an instructor of liturgical music in 1921 at the Jewish Institute of Religion, which merged in 1950 with Hebrew Union College (the rabbinical school and training institute of the Reform Movement) to become the New York branch of the principal campus in Cincinnati. When the New York school established America's first academically oriented cantorial ordination and degree program (the School of Sacred Music), in 1952, he was able to offer his knowledge to future cantors there. In 1953 Hebrew Union College conferred upon him an honorary doctor of Hebrew letters degree (D.H.L.). From 1954 until 1958 he also lectured on Jewish music and liturgy at Union Theological Seminary in New York, the premiere nondenominational liberal Protestant institution. Meanwhile, Binder became the music director at the Stephen S. Wise Free Synagogue in New York, one of the city's leading Reform congregations, named in honor of the great American Zionist leader and Reform rabbi. (The word free in the synagogue's name referred partly to its rabbis' right to speak freely about Zionism, which at that time was actually prohibited-sometimes by contract-in some Reform congregations, as well as their right to speak about the labor union movement.) Binder's visits to Palestine in 1924 and 1932, and to Israel in 1952, introduced him to Israeli musical activity and to important elements of Hebrew Palestinian and Israeli song, which then informed some of his own compositions and arrangements and inspired him to promote the music of Israel in America. His two-volume publication of arrangements, New Palestinian Folksongs (1926; 1933), was one of the first widely available vehicles in modern format for the American public. 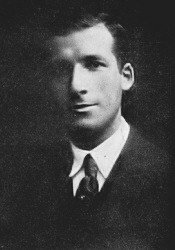 Binder was one of the founders and principal activists of the American Palestine Music Association- MAILAMM (the acronym for makhon aretz [eretz] israel [yisra'el] la-mada'ey [l'mada'ey] musika)-one of the most important and sophisticated Jewish music organizations in America, whose objectives were to assist the Palestine Institute of Musical Sciences, to promote a musical bond between Palestine and the Diaspora, and to encourage Jewish musical creativity through concert programs, academic seminars, and educational programs in the United States. In 1934 it became affiliated with the Hebrew University in Jerusalem, with the aim of establishing there its Jewish music library as well as a research department. Eventually Binder broke with the group and established a second organization, the Jewish Music Forum, more specifically and more narrowly geared to local contemporary music programs, discussions, and scholarly lectures and papers, which were published in its annual bulletins. The Jewish Music Forum also functioned as a means for professional participants in various aspects of Jewish music to share ideas. (MAILAMM's de facto demise was a result of the commencement of the Second World War, which made pursuit of its aims in Palestine nearly impossible.) Binder was the editor of the third edition (1932) of the Union Hymnal, which, notwithstanding his many compositions and variety of other activities, might be considered his most indelible legacy and his most profound contribution. Published by the Reform movement originally in 1897 (2nd edition, 1914) as the official adjunct to its Union Prayerbook, its contents consisted-before Binder's work on it-largely of second-rate hymns, mostly in English, and many adaptations from non-Jewish sources such as opera, classical lieder and oratorio, and Western folksong. It contained very little in the way of tradition. Binder carefully rethought its entire purpose and aesthetic and thoroughly revised the hymnal to include many established tunes from eastern and western European Ashkenazi traditions. He also included melodies and settings extracted from the works of some of the major European synagogue composers, such as Salomon Sulzer, Louis Lewandowski, Samuel Naumbourg, and Eliezer Gerowitsch-who were introduced to the American Reform Synagogue for the first time, albeit in adapted and abbreviated versions that made them appropriate for the American Reform worship format. Many congregational tunes that eventually predominated for decades in synagogues throughout America, orthodox and traditional as well as Reform, thus entered the American Jewish consciousness as a result of Binder's efforts on this 3rd edition. These tunes included the most ubiquitous and once nearly exclusive versions of adon olam and ein keloheinu (the mistakenly so-called Freudenthal melody, after the organist and choirmaster in Braunschweig, Germany, who first printed and perhaps adapted-but did not compose-the tune in that synagogue's hymnal in the 1840s). The Union Hymnal thus constituted a watershed event in the musical development of the Reform movement, giving it (or restoring) its musical roots; and it also had a ripple effect among American Jewry in general. Binder was appointed to be the consultant on Jewish music for the United States Armed Forces Hymnal, which was prepared for servicemen during the Second World War. Published in 1941, it included appropriate hymns for the three principal American faiths: Protestant Christian, Roman Catholic, and Jewish. As a composer, Binder is remembered chiefly for his numerous liturgical choral settings, which include many individual prayers as well as entire services. Some of his once-popular earlier works, such as his children's oratorio Judas Maccabeus (1919), are long forgotten, but many of his later prayer settings became part of the standard repertoire in Reform congregations and are sung to this day. He also wrote several classically oriented Hebrew and Yiddish art songs, which may be considered worthy components of the aggregate American Jewish lieder repertoire. And he tried his hand as well at orchestral composition, although those pieces are now obscure. For the most part, he was at his best as a miniaturist in his succinct artistic expressions of Hebrew liturgy for Reform services. Binder's book Biblical Chant (1959) was at one time widely used as a guide to cantillation, although it has been superseded by more recent studies on the subject. He also wrote monographs, entries for encyclopedias and other reference works, and journal articles. In 1971 Irene Heskes edited and published posthumously a number of his lectures and writings under the title Studies in Jewish Music: The Collected Writings of A. W. Binder.